Check. Framed and architecturally attention-worthy? Check. As you research and shop, you’ll find a shower door to suit every bathing enclosure and décor. 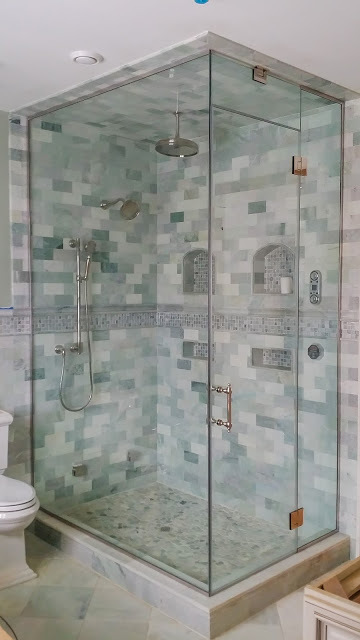 Sweeten, a free service matching renovating homeowners with vetted general contractors, surveys the factors involved in selecting a shower door to better inform you as you research this important feature. Once upon a time, framed was the only way to go. (Remember those shower doors when you were growing up?) With the widespread popularity of open design, semi-frame and frameless have caught homeowners’ attention. 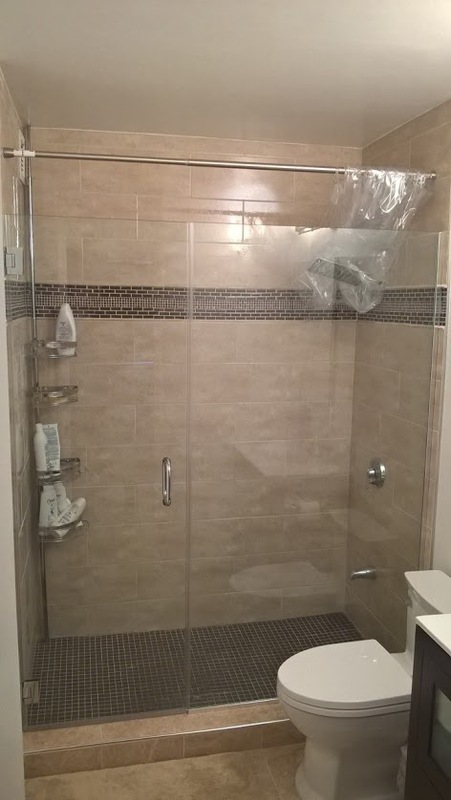 Improvements in mounting systems, including thicker glass supported by sleeker, stronger hinges, means you can have a shower that seems to float or even disappear. Not completely without hardware, frameless is still the way to go if you want an open, seamless, truly spa-like effect for your shower. Advances in hardware engineering and glass manufacturing make this type of installation appear to float. Glass panels attach to hinges that then attach to walls. There is commonly a combo of a fixed panel and a swinging door, both made of 5/8-inch safety glass. 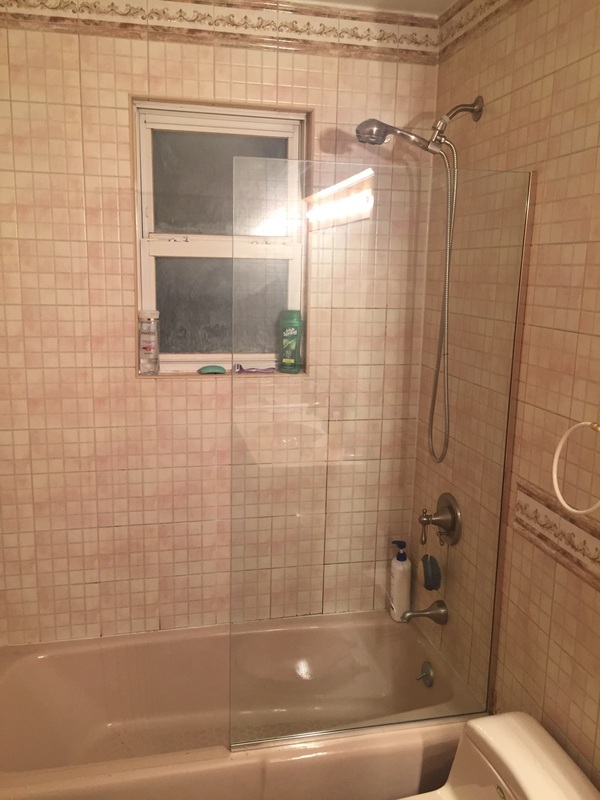 Besides the hinges, the only hardware is the door handle and possibly a towel bar, though after going to all this trouble, why would you want anything to block the view? Glass And Mirrors handpicks the best general contractors to match each project’s location, budget, and scope, helping until project completion. Follow the blog for renovation ideas and inspiration and when you’re ready to renovate, start your renovation on Glass And Mirrors.